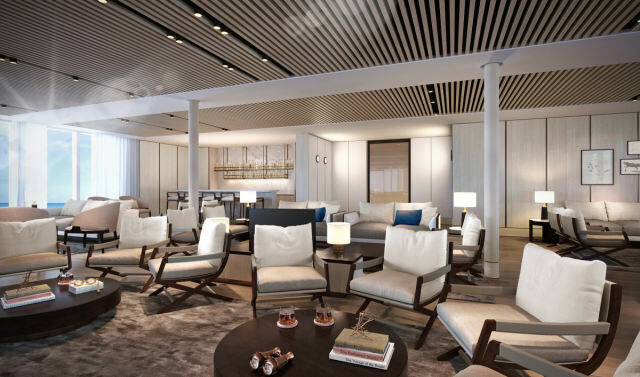 Silversea unveils new details of Silver Origin, the cruise line’s first ever destination-specific ship, which will travel the Galapagos Islands from the summer of 2020. 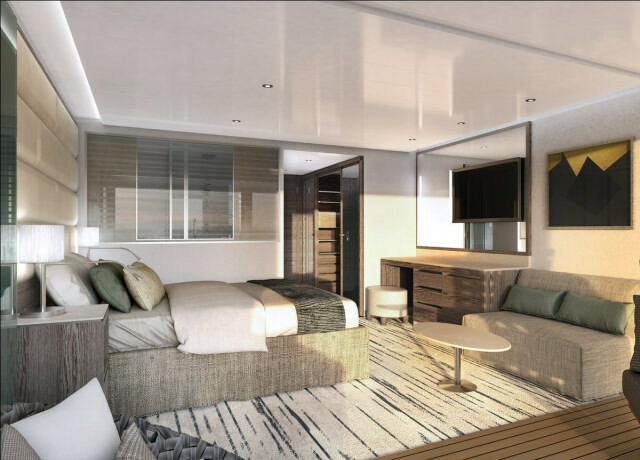 From summer 2020, the 100-passenger, all-suite Silver Origin will provide guests an immersive experience in the Galapagos, with daily briefings, lectures, videos, and scientific information, and authentic local cuisine, prepared by Ecuadorian chefs. Silver Origin’s public spaces were designed by HBA Miami, while GEM – Design for Cruise Ships, the team behind the interior design of Silver Muse, oversaw the interior design of the ship’s suites. Connecting with the ship’s Zodiac embarkation area, Basecamp will host educational activities through which guests will be able to interact with the onboard Expedition Team to learn more about the wildlife, landscapes, and history of the Galapagos Islands, before and after experiencing these attractions first-hand. 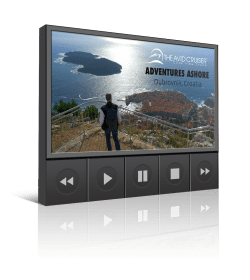 Basecamp will feature a large, interactive digital wall where guests will be able to access destination-related content, including pictures, videos, excursion previews, and scientific presentations. With floor-to-ceiling windows for views of the destination, Silver Origin’s Explorer Lounge will host daily briefings and lectures from the ship’s Expedition Team. The venue will feature a large video wall and HD screens in different seating areas to optimize guests’ destination experience. It will also be a space in which guests can relax, with a bar and piano. 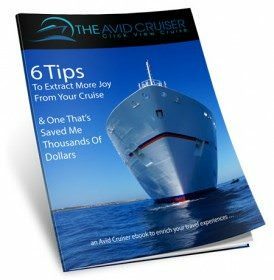 With Silversea’s all-inclusive approach, guests will enjoy complimentary drinks throughout the ship, including spirits, champagne, and many varieties of wines. Located at the very front of the ship, the Observation Lounge will offer a hideaway to guests. 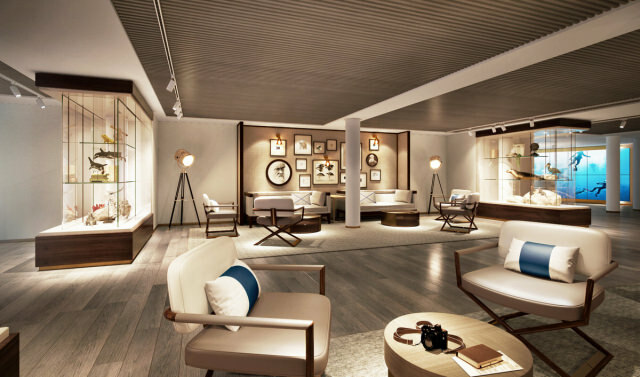 It will be the ideal place for guests to relax with a book from the library, which will be curated by Silversea’s destination experts and will hold a destination-focused collection of books. Silver Origin will feature eight different suite categories. Guests in every suite will enjoy the use of a private balcony, while certain suite categories will feature a Horizon Balcony, which can convert to enclose the balcony with a floor-to-ceiling window for added space and better shelter from the elements. 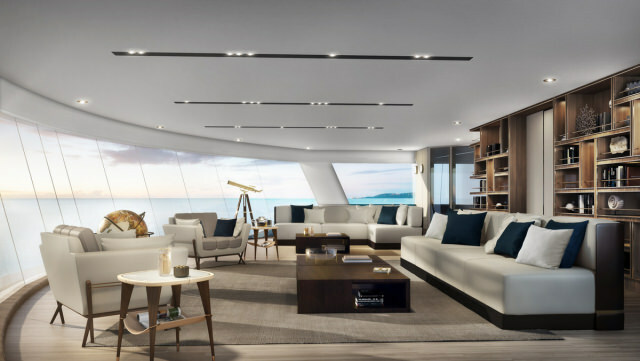 Plus, a first for Silversea, selected suite categories will incorporate an ocean-view bathtub, as well as an ocean-view shower that is accessible from the balcony. Silver Origin’s two dining venues The Restaurant and The Grill will each be able to accommodate all guests at full capacity. 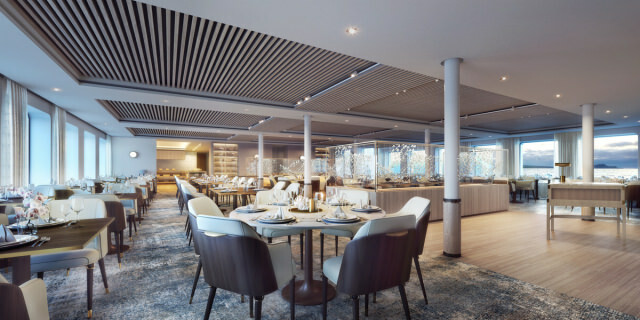 In The Restaurant, guests will enjoy natural light and far-reaching views as they dine; in The Grill, an open-air venue that can be partially enclosed, Silversea’s signature Hot Rocks concept will enhance guests’ dining experiences with Ecuadorian twists. 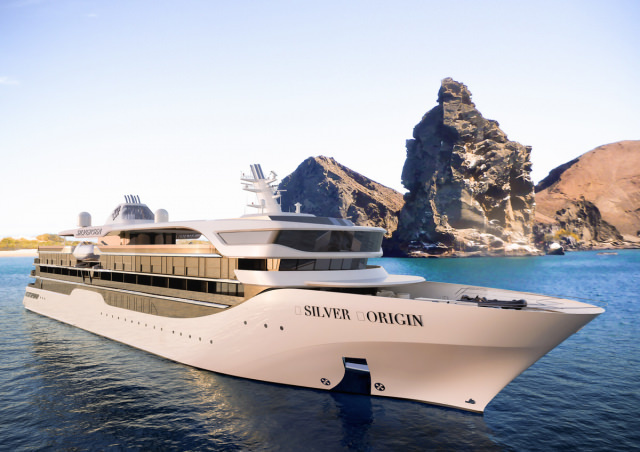 Silver Origin will feature technological enhancements to make her more environmentally friendly. The ship’s dynamic positioning system will allow Silver Origin to automatically maintain position to protect the sea floor; freshwater purification systems, installed in each suite, will enable the ship to reduce the consumption of single-use plastic bottles; an advanced Waste Water Treatment System will meet the strictest regulations in the market; and Silver Origin will meet the highest standards of energy efficiency in the segment. wow. Silversea’s Galapagos ship sounds great, The Galapagos is on my bucket list always has been but now it really is with this new ship. Any idea of Costs?????????? We are interested in the Siver Origin and would like further information the bouarding of the Zodiacs. We noticed on the new Celebrity they have steps going from the ship directly into the Zodiac from a rear platform at water level. Will the Origin have this capability?